One struggle new online personal trainers face is attracting new clients to build up a solid training business. If you struggle to attract clients here are 7 tips that will solve the problem for most great trainers going online. 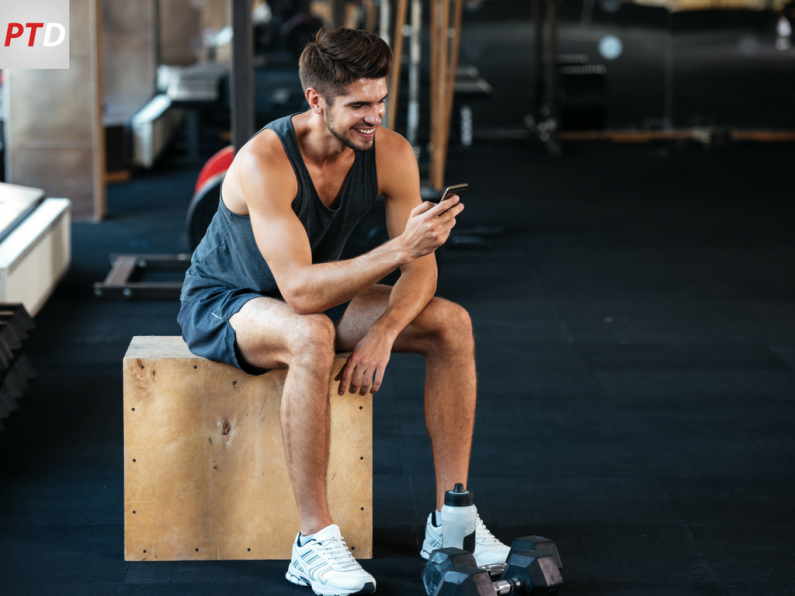 Early on most personal trainers have website, content and social media set up for face to face training with your online business almost a side note. This is because most trainers that set up online are already in some way established with a face to face training business. This leads on to tip number 1. 1) Begin your online business from your current face to face business. Try to get referrals from your current clients, get in touch with past clients and offer online training to any new consultations that say no to your face to face training based on price. Also it's well worth looking to introduce hybrid coaching to your groups and 1-1 clients. This blog introduces you to the concept of hybrid coaching. 2) Use testimonials and reviews in prominent places. Screenshot positive comments and reviews about your services and add them to your website. If you have reviews and a high average review score on your Facebook page, Google or something like Trust Pilot then make them a huge part of your website. Offer a strong benefit and then make proof the star of the show. 3) Get a blog and create a YouTube channel. Most new online trainers focus heavily on social media, while this is great for distributing content it leaves very little in terms of a long term trail unless you consistently post a lot for a long time. Blog and YouTube content is different, you create it once and rank it for certain keywords then it's there for a long time. As you add new blogs and videos it leaves a firm trail and huge amounts of searchable content. This is all content you can link to in other articles and when answering questions on social media. Create some video, blog and vlog content and get it in to the world. Use this content to show your product and show you know how to solve your clients problems. Great content helps to show your expert status and attracts people towards you and your programs. 4) Make sure you're easy to find in the big two search engines. This is a big additional reason why numbers 2 and 3 are so important... Almost everyone will search your name or business name before signing up to an online service. If people are showing interest in your services but very few sign up this could be a big contributing factor. When a prospective clients searches for you on YouTube they want to see videos from you, if you're not there, other trainers may well be and they will take the attention of your potential clients away from you. When a potential client searches for you on Google the first page should be dominated by you, your content and reviews of your service. If that first page on Google features other trainers websites, their reviews and their content they may well be taking the attention of your potential clients away from you. If those trainers have more content, better looking websites and more testimonials it's likely you will lose that client. By getting reviews, creating YouTube content and creating blog content you are much more likely to fill the first page of Google search for you and your business with great reviews, information and content about you. This means when people search for you all they will find is confirmation that you are the right person to help them. 5) Put your best content and reviews up on your personal Facebook profile. Share links to longer blog posts while putting as much as you can directly on to the Facebook platform. After one month or so of posting on your personal profile contact people on your friends list to say "Hi", nothing pushy but reconnect. Many of them will have seen your stuff and will at least be intrigued to try out your service. 6) Set up Re-targeting Ads. Many trainers either think Facebook adverts are the Holy Grail or that they're completely useless. Often opinion starts as “Facebook ads will bring me loads of clients”, then, when those initial ads don't work opinion switches to thinking they are “a total waste of money”. Whatever your opinion on adverts website re-targeting adverts are hugely beneficial and you have to really mess them up not to get a good return on your investment. Set them up in Facebook at least. After that look in to setting them up on Twitter and Google/ YouTube as well. Once set up these ads will bring you a consistent flow of clients for a very long time. They offer an incredible return on your money and on your time. Facebooks ad platform has changed a little but this video shows you how to create a re-trageting advert in Facebook. 7) Join groups that your niche clients are in and help people out with fitness tips and advice. Aim to simply help and don't focus on a sale. This is a great way to attract people to your online services. Here's a great guide on getting clients from Facebook groups.